A corner position is one of the most beneficial ones for any small room. The table, of course, does not necessarily have to feature a corner shape — in fact, any compact dining table can fit in one of your room corners, optimising every available centimetre of the room space simply by keeping the middle of your dining room open. Round dining tables, on the other hand, offer a very flexible approach to seating capacity — no matter, if they are placed in the corner or somewhere else in the room. Plus, any round tables feature a very compact look, so you will get a chance to optimise your available dinging room space not only physically, but also visually. 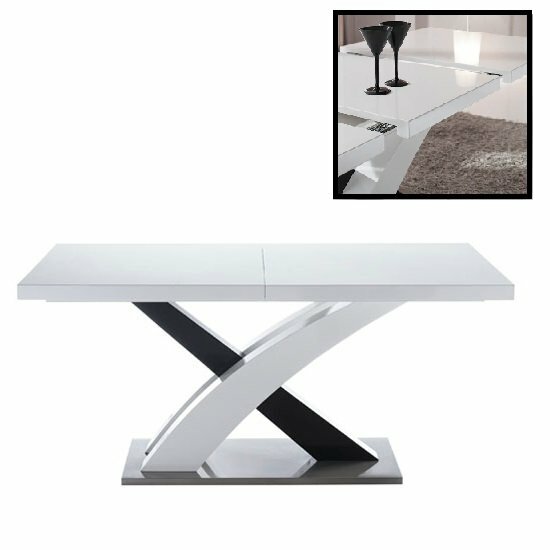 One more functional idea on dining tables for compact spaces is to go with an extendable piece. 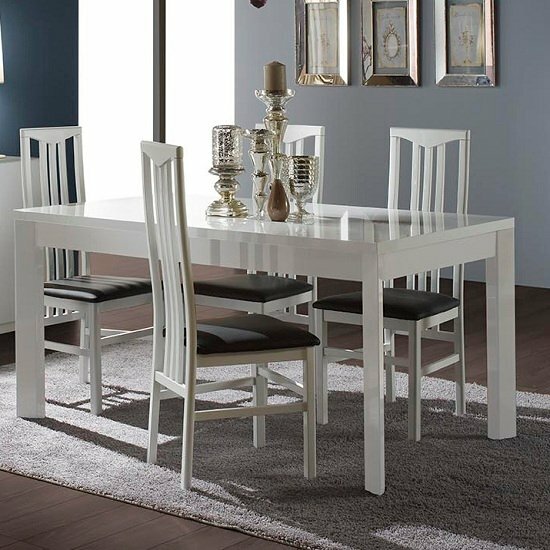 The most important benefit of going with extendable dining tables is that they offer you extra seating space only when you need it — say, when you have friends or family over — while staying very compact on any average day. Dining room tables made of clear glass give the whole dining area a light and transparent look, which is, surely, very helpful in visual space optimisation. 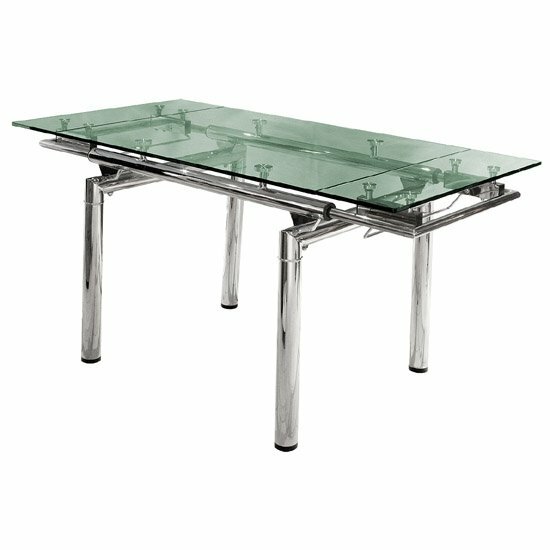 And, you might also want to check out black tinted glass tables that look even more compact than clear glass models. A compact table, no matter if it is round or square, will look very impressive on a single solid base. Differently from the classic four legs, a single abstract base gives the table a more fragile and compact look. At the same time, some really unusual base designs can also act as stylish accessories, helping you to downsize on other decorative elements in your compact dining room. 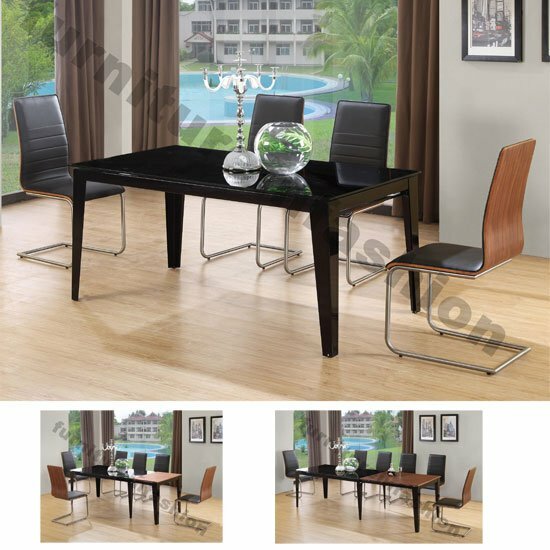 One more dining tables for compact spaces idea you might appreciate is to have both chairs and a bench in your seat. A corner booth in a combination with a couple of extra chairs is another incredibly space efficient idea that can significantly boost your dining area space. Dining chairs, too, play a very important part in the entire arrangement. If you would like to have as much open space as possible, consider compact chairs with low backs — they can usually fit under the table and keep the room open when you are not using the set. Plus, chairs with low backs are still more comfortable than stools with no backs at all.